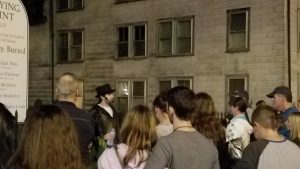 Join us on a ghostly tour of America’s witchiest city….Salem, Massachusetts! Established in 1997, we are the Witch City’s oldest established professional walking tour company, setting the bench mark for similar tours. 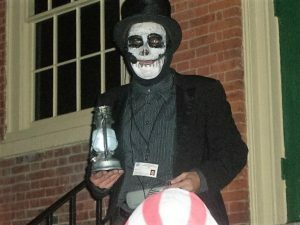 Our knowledgeable and charismatic guides have enchanted guests with true tales of paranormal activity, centuries-old murder & astounding history. 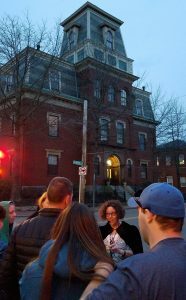 Come hear why we’re the most respected and recommended tour in Salem and experience the city’s hair-raising history firsthand!! We also have an array of historical tours. 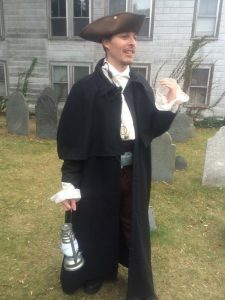 We do a General History Tour that discusses our seaport and revolutionary days, a cemetery tour and our 1692 Witchcraft Walk that focuses on the infamous witch trials, how they started and ended and stories of people involved.